Forbes, the international biz magazine, has launched its Indian edition. 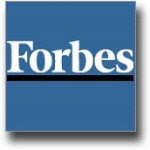 Forbes launches in India in collaboration with Network18 group. Forbes' Editor-in-Chief Steve Forbes said he was excited to be in India, especially after the outcome of the General Elections. The magazine has been showcasing entrepreneurship across the world for several years and decades. According to the Chief Editor , India has been in the forefront of technology and India has been in the forefront of areas where entrepreneurship is needed. He thinks India as a whole, as far as reforms continue to be made, obstacles continue to be removed towards commerce. The country is going to be clearly one of the world leaders especially when we come out of this temporary slump. That's fantastic news for India ! Excellent Magazine coming to India at right time, when India is growing at amazing pace.